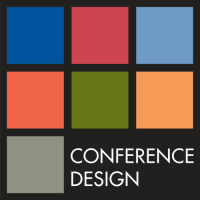 Conference Design has a reputation as one of Australasia's leading conference and event management companies. We specialise in the organisation of state, national and international meetings and events. Our clients are professional and scientific organisations seeking to enhance their meetings through a strong partnership. We work with our clients to understand their goals, deliver successful events and engage their stakeholders. Please contact us if you are hosting a conference for your association or in your field of research. We are happy discuss the various aspects of hosting a conference and provide advice on the tasks you will need to consider. You are the most efficient organisers I have ever met! Thanks to you and your team for such a great conference. You were just so accommodating, friendly and enthusiastic. 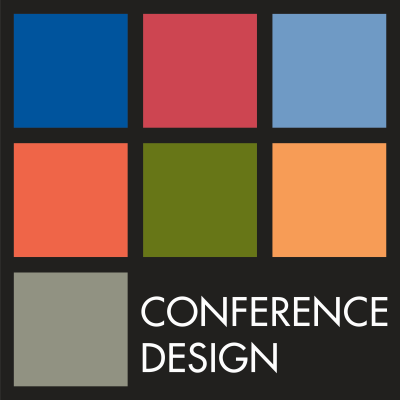 In all my years attending these events – Conference Design is the best conference organiser that I have ever come across – now twice this year. Species on the Move was also fantastic. I just wanted to personally thank you both for your outstanding support and organisation of the Rural and Remote Telehealth Conference in Toowoomba. Your contributions, guidance and advice ensured everything ran smoothly, resulting in a high quality experience for the delegates. Just a short note of thanks for you and your team’s great work on this event. And pass on our thanks to Elisha for her onsite support. The professionalism, organisation and calmness of you and your team is top notch and provides our organisation great confidence in the success of our key event. We look forward to continuing our relationship with your organisation. I would like to thank you for the wonderful conference in Hobart. You all work so hard to make and event like this happen. Your efforts are very much appreciated. I hope you have a little down time now. I’ve been meaning to write to you all to say how impressed I was – and everyone was – at the preparation and running of the conference. You were certainly a godsend for Paul and the local organising group. Not only could we not have done it without you, we were actually able to enjoy the event in a way that is often not possible! The level of support we received from Conference Design has been better than we could ever have hoped for and their professionalism in all aspects of their operation has been exemplary. Always willing to go ‘over and above’ what we had expected … I believe their strength lies in their great leadership of an exceptional team of staff, all of whom recognise and understand the needs of their clients. I just wanted to add my thanks for all your help over the past few months to pull together our conference. Please pass on my thanks to Jen as well. I will be recommending Conference Design to any colleagues who are planning to hold conferences and will be doing my best to persuade them to come to you because of the quality of the service you gave us and the ease with which you accommodated our requests. On behalf of the ISANA NZ Executive I wish to thank you both for all your hard work in organising the 27th International Education Association Conference – ‘Evidence Based Practice in International Education’ held in Wellington in December. Your planning and attention to detail ensured that the conference was highly successful and enjoyed by everyone who attended. The ISANA Conference was highly successful, beneficial and enjoyed by everyone who attended and we thank you for your contribution to its success. As Convenor of the Australian & New Zealand Society of Criminology Conference 2016 I would like to commend Anna Patterson and her team at Conference Design for making this event so special and successful. There were some 320 delegates over the two and a half day period, from over 15 different countries. From start to finish, the planning and operations were exceptional, with friendly and professional service provided at all times. Throughout the course of the conference there are always little glitches that occur – whether this is someone wanting greater variety of vegetarian food, an unexpected medical event, or the presence of unforeseen ‘extra’ people at the conference dinner. What matters in these situations is how people respond and I am pleased to say that Conference Design was exceptional in listening carefully, assessing the issues and offering remedies as quickly as possible. This is the sign of really good conference organisers. If we ever host this conference again in Hobart, then I would not hesitate to use Conference Design. I just wanted to take some time to thank you personally for all your support with the Allied Health Symposium. It went ‘above and beyond’ the call of duty. It was so reassuring to know that you were there as an expert presence. Since 1990 we have partnered with many of Australia’s leading organisations to enhance their state, national and international meetings. Higher Education Research and Development Society of Australasia Inc.